CATHARSIS: Would You Even Know It If You Met Happy? My son recently decided that he wanted to be part of his school's Chorus group. He's been attending the after school practices for a couple of weeks now and though, admittedly, he's not the best singer there is, I must say that I'm proud of his obvious love for music and the dedication he has for it. Recently, he surprised me by suddenly singing (and clapping to) Pharrell Williams' 'Happy'. He would sometimes burst into song right before bath time, and sometimes while riding in the car. This past weekend, he did the same thing while our family was heading for our mini-vacation for fall break. Apparently, he learned the song, and some moves, from his Chorus practices. What struck me most was when he sang the line, "Clap along if you know what happiness is to you". As soon as he finished singing, I couldn't help but ask, "So, Noah, what is happiness to you?" I wanted to keep my expectations low and so I was prepared to hear something along the lines of "playing with my Legos, Xbox or eating Cheetos". But I'll be honest and admit that part of me was hoping for some profound, soulful response. I think what I got was somewhere in between, simple and honest. He said, "Happiness is being with Mama and Dada!" Of course my heart melted. Of course I was brimming with joy just to hear him say that. But most of all, I was happy for my son for being so clear about what happiness is to him. There was no hesitation in his response; only certainty and clarity. I felt somewhat ashamed that I couldn't answer as quickly as he did. For the rest of the drive (and it was a long drive), I asked myself quietly what happiness really meant for me, other than mimicking my son's answer. It's a given that I'm happy when I'm with my family and loved ones. But other than that, I knew that I owed it to myself to know what happiness looks like to me. Not knowing would be a complete waste of time on this earth. I know that material things don't make me genuinely happy. And I know that happiness is different from 'comfort' or 'satisfaction'. To me, it's something deeper, more lasting, and holds more power in terms of making me feel that I'm being my authentic self or at least moving towards it. I still don't have the complete answer although I admit that starting with thoughts of things that make me smile or make me feel fulfilled were very helpful starting points for me, and I hope they will be for you too. And once you name things (or people) that make you happy, even if only on a seemingly superficial level, ask yourself what experience this thing or person calls forth within you. This is because I believe that it's not the 'thing' per se that makes you happy, but the experience it allows you to have. For instance, I know that seeing carpet / vacuum lines makes me happy. It's because it gives me a sense of order, cleanliness and organization, and these make me happy. Knowing that things are in their rightful place, that life is going smooth and is being as predictable as possible, makes me happy. This is also why knowing that my loved ones are all healthy and safe makes me happy. Quiet time or solitude makes me happy. It's because it allows me to explore my thoughts more and connect to what is true inside. Being and conversing with my closest, long-time friends makes me happy. It's because having an authentic sense of connection and an undeniable meeting of the minds invigorates me. Writing and being able to publish blog posts make me happy. And getting published elsewhere makes me even happier. It's not because of vanity and the craving for attention. It makes me happy because creative self-expression is important to me, and having others appreciate what I put out is, in a way, a validation of who I am and how my mind works. I'm sure this list is bound to change as life goes on. But I'm glad to have been forced to face the question and dig deep for some answers. Now I know I'm a step closer to finding my personal truths about my personal happiness, and it mainly has to do with connection: simply being able to connect more deeply with others, as well as with who I truly am. Now I know I can 'clap along' knowing what happiness looks like, even though it might just be partial at this point. Can you clap along too? Great post, Joy. 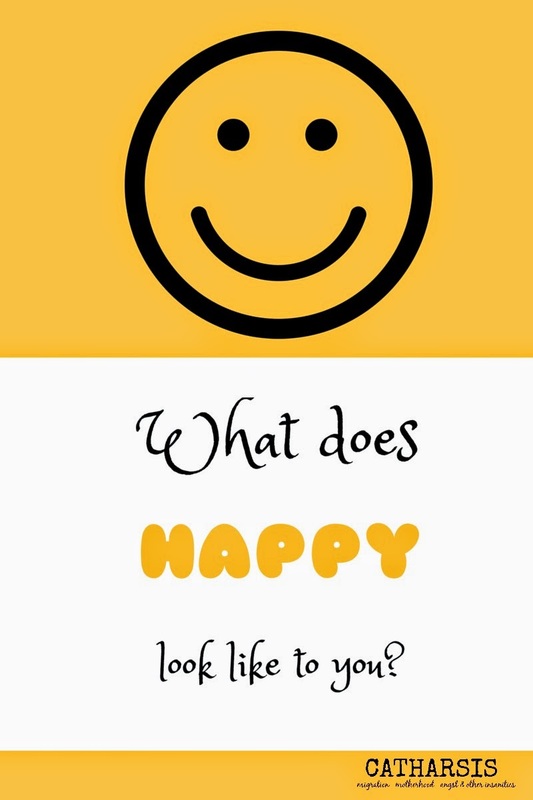 Figuring out what makes us truly happy is one of the biggest challenges in life!
" It makes me happy because creative self-expression is important to me, and having others appreciate what I put out is, in a way, a validation of who I am and how my mind works." What a great statement, Janine!
" It makes me happy because creative self-expression is important to me, and having others appreciate what I put out is, in a way, a validation of who I am and how my mind works. " What a great statement, Joy! Happiness comes in so many shapes and sizes. I think happiness to me is looking aound and seeing everyone else happy. My mom's face when she walks around the corner and spots me, my daughter's eyes when she subconsciously rubs her belly over her beautiful twins. The sound of my son's voice when he calls and lets me know he's okay so far from home and the look on my husband's face when we slid across the lake in the canoe. Great post Joy! I think as we get older, we take happiness for granted. I love how you really gave it some thought, and come up with some valuable, tangible things that make you happy. Thank you for the reminder - I will be doing the same! What a great post! Gratitude is such a key to happiness for me. Often times I just need a reminder about what I'm already happy about. Happiness for me tends to be when I'm at peace; I'd say most often when in nature..
What a lovely post! I am happy when I eat chocolate (I know), when I write, when I am with my family. I am a glass half-full sort of person (I think!) and I try to remember to be happy every day. And now you've got me thinking . . .
Yup, I concur, it's all about connections!